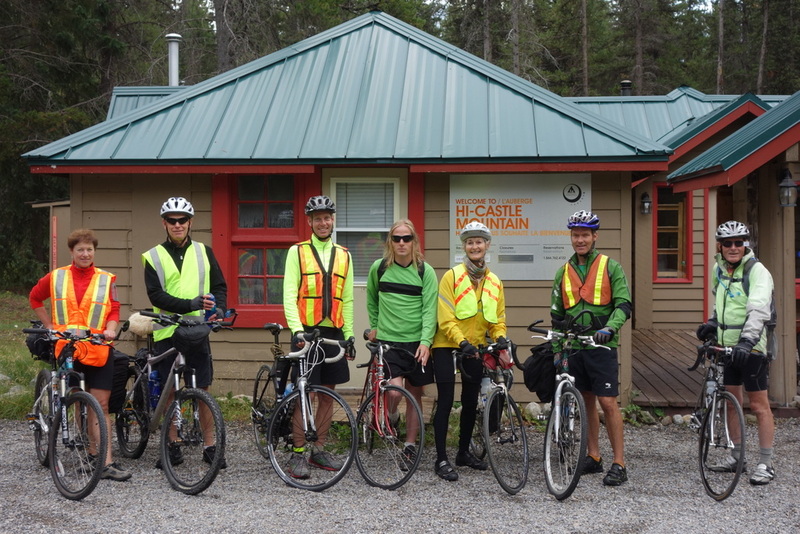 The Icefield Parkway, running from Lake Louise to Jasper, is one of the most spectacular cycle tours in the world. This road passes through a vast wilderness of pristine mountain lakes, ancient glaciers, and broad sweeping valleys. What better way to see all this than by bike! Our group of eight from the Hostel Outdoors Group enjoy the ride.